Which carbon calculator to use for my farm or agri-business? In South Africa and globally there is increasing pressure from retailers and consumers for the disclosure of carbon emissions of the products that they purchase. 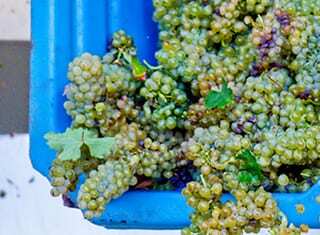 It is important for South African fruit and wine producers to comply with the market requirements to ensure market retention. It is furthermore important to measure and manage your emissions to reduce input costs and become more climate resilient. The question asked by many producers are: “Which tool should I use?” and “Will the information generated by the tool be accepted internationally?”. A brief analysis of the different tools and why the Confronting Climate Change (CCC) tool should be your tool of choice is outlined below. There are many carbon emission (CO2e or GHG) calculators available online and as desktop tools that can perform the process of collecting greenhouse gas (GHG) emissions data for an agri-business and generating a report. The value of these tools for the farmer or facility manager include raising awareness of the main sources of GHG emissions within the agri-business, as a basis for reporting GHG emissions to stakeholders further down the supply chain and most importantly to explore and evaluate possible mitigation options (Green et al., 2017). Due to the proliferation of carbon emissions calculators, it is important to find one that is relevant to your farming enterprise. The question remains as to what GHG calculator to use? It is suggested that the four step process developed by Colomb et al. (2012) be followed when choosing a carbon emissions calculator for your agri-business (Figure 1). FIGURE 1. The four-step process as developed by Colomb et al. (2012) that can be followed to select a carbon emissions calculator for your agri-business. There are different kinds of carbon emission tools available globally and all can be grouped into a specific typology depending on the requirements of the user. Some global and regional calculators are listed in Table 1 according to the requirements of the user. Step 1: Define your aim. ● GHG emissions per unit of yield (per kg fruit or per litre milk produced). Ensure that the reporting includes these indicators and an added benefit would be the emissions per activity in order to identify hotspots within your business. Step 2: Define your geographical area and look if one or several specific calculators are available. If a calculator has been developed for a specific region, then it also has the correct emission factors for inputs and activities for that region and will provide a more accurate result. A carbon calculator found freely online is more than likely a generic tool used for multiple farming activities on a global scale which will not provide the accuracy and granularity of a regional one. Step 3: Check that the scope (perennial, annual crops, livestock, LUC etc) of your calculator is adapted to your aim (Table 1). If the local calculator is not adapted, you will have to choose more global calculators. The data entry and computational capabilities need to be appropriate to the activities within your business. A data entry system that doesn’t include inputs, such as fertiliser or pesticides (organic farming) or needs information on livestock, will not be suitable for a mainstream fruit farming system. Also ensure that the period over which you are collecting data is relevant to your crop output, e g a year is applicable to perennial tree crops, but not for cash crops, such as vegetables or castor oil for example. Step 4: Check your time and skills availability. The time required to collect data and complete the tool is very important as this is generally constrained at farm level. This goes hand in hand with the complexity of the tool and whether training is required. However, generally the more accurate and credible tools which provide detailed reporting require some time and training the first time round. Once the processes are in place, these activities can be completed in much less time and combined with other data collecting for other auditing activities. 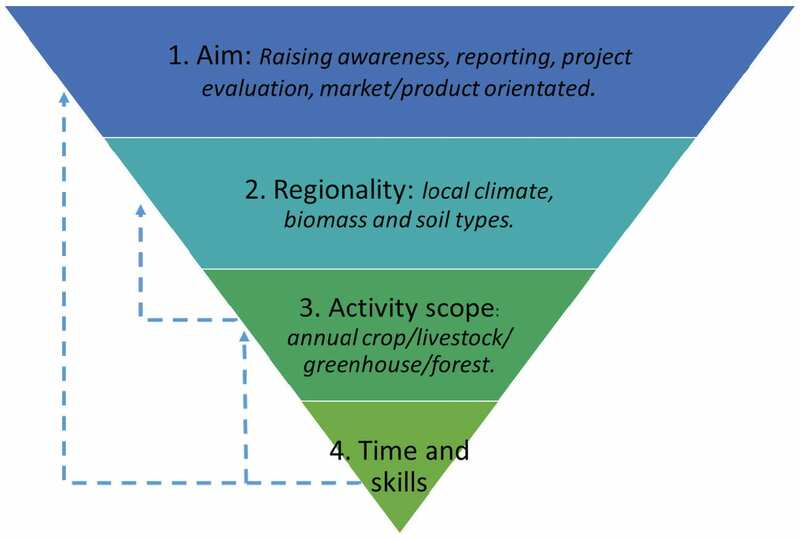 This four step process can be used when selecting an appropriate GHG emissions tool for your agri-business. In addition, ensure that the calculator is based on credible protocols, such as the IPCC or GHG Protocol, and has been externally reviewed either by academic institutions or independent institutes, such as the Carbon Trust or the GHG Management Institute. An added advantage would be if the tool can provide you with a detailed identification of the hotspots in your business, as well as a benchmark to measure yourself against and to assist you with setting carbon emission reduction targets. Calculating your carbon emissions can take a considerable amount of valuable time and effort, especially the first time round, so selecting the right calculator with all the necessary credentials will be worth it. 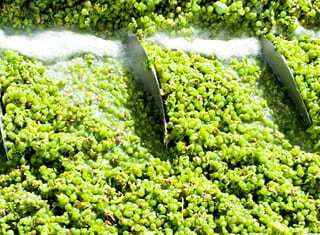 Confronting Climate Change’s carbon emissions calculator definitely ticks all the boxes if you are a fruit or wine producer in South Africa and require a product carbon footprint. Colomb, V., Bernoux, M., Bockel, L., Chotte, J.-L., Martin, S., Martin-Phipps, C.C., Mousset, J.J., Tinlot, M., et al., 2012. Review of CHG calculators in agriculture and forestry sectors: A guideline for appropriate choice and use of landscape-based tools. 43. Available: http://www.fao.org/fileadmin/templates/ex_act/pdf/ADEME/Review_existingGHGtool_VF_UK4.pdf. Green, A., Lewis, K., Tzilivakis, J. & Warner, D., 2017. 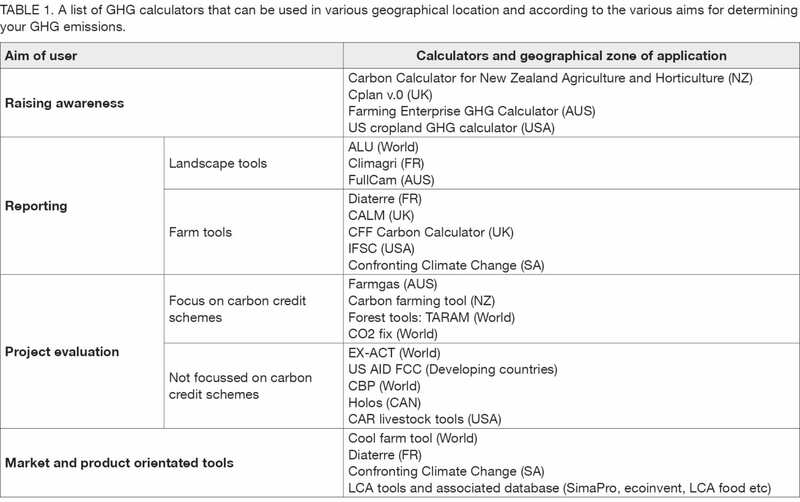 Agricultural climate change mitigation: Carbon calculators as a guide for decision making. International Journal of Agricultural Sustainability 15(6): 645 – 661. 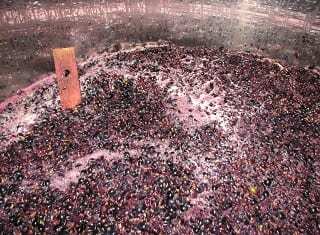 DOI: 10.1080/14735903.2017.1398628. – For more information on carbon calculations, contact Lorren de Kock at lorren@bluenorth.co.za or visit the Confronting Climate Change’s site www.climatefruitandwine.co.za.